The Super Bowl is all about the epic battle between two opposing teams, running it out for football’s top honour. It’s no surprise that this battle extends into the kitchen, where Blue Cheese and Ranch duke it out, year after year, for the top spot in our hearts (and bellies) as the dipping sauce of choice. Here in the YVF Kitchen, we think both are pretty tasty, so we offer you recipes for our favourite version of each dip…we’ll let you pick the winner! 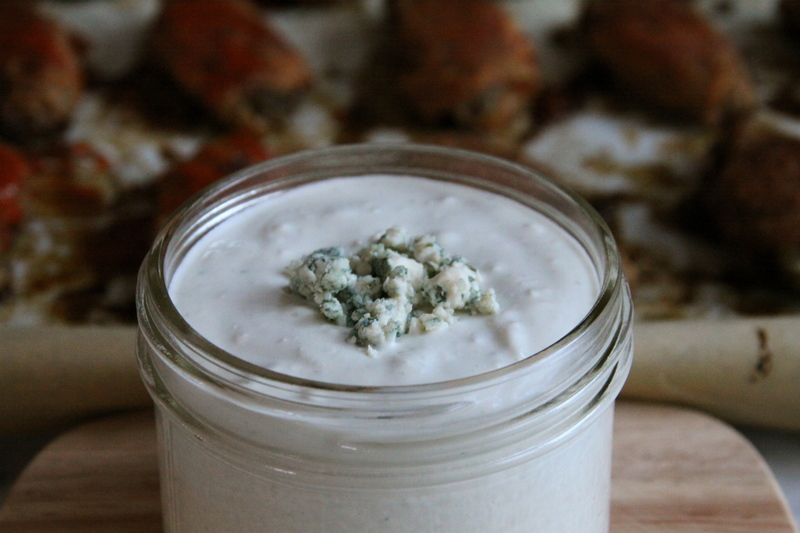 This is the way Krysten, our Director of Marketing, likes to make her blue cheese dip. Her version is sort of a love-child between Tzatziki and traditional blue cheese. With only a few ingredients, it’s quick to pull together. Combine all ingredients in a serving bowl. Stir until well blended. Serve with a sprinkle of blue cheese overtop. This dip can be made a couple of days ahead. Rebecca, our Marketing and Customer Service Manager, is the resident football fan in the YVF office, so she is full of saucy suggestions when it comes to winging it. This is the ranch dressing she likes to make. Mix all ingredients together in a bowl. For a lighter option, you can opt for light sour cream or mayonnaise. Whenever you’ve got a few extra minutes on your hands in the kitchen, buying a whole chicken and prepping it yourself can mean some serious savings at the store. And when that little bit of work translates into a new pair of peep-toe pumps for Spring, it may just seem like a worthy endeavor. Well, choosing a whole chicken not only buys you more chicken for your precious food dollar (and maybe even new shoes), but it also buys you freedom. Chicken is already such a phenomenal canvas for culinary creations, but with the entire bird on hand- bones, skin, neck, and all, the possibilities become endless. And since that chicken is going to be giving you a lot of culinary mileage, you’re going to want the best, and that of course means bringing home the goods from Yorkshire Valley Farms (YVF). The first question to ponder after purchasing a whole YVF bird is, of course, what to do with it. If you have a crowd to feed, the most obvious preparation is to cook the chicken whole, an option that has multiple variations in itself! You can roast it like you would your holiday turkey, braise it in a flavourful broth, let it cook over a rotisserie spit, or grill it over indirect heat on the BBQ. But let’s say you’re not so graceful with the boning knife, or perhaps your whole week was too tight to plan ahead. 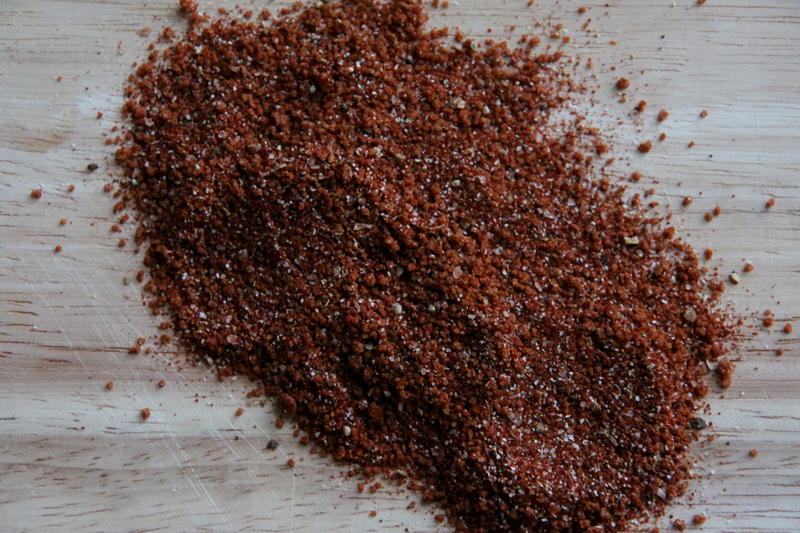 Thankfully, you can offload your protein-prep work onto the experts at YVF. Helping you get dinner on the table in a hurry, you can buy your chicken any way you want it- bones in or out, skin on or off, breasts, thighs, drumsticks or wings. And regardless of who preps chicken pieces, there are endless options for getting them on the dinner table. Check out this inspirational guide for planning your chicken menu! Breasts are not only the lowest fat cut of the chicken, but they’re also probably the most versatile to work with. Because of their inherent leanness, they are best grilled, fried, or roasted at a high temperature, brined or marinated for added moisture, or braised in a flavourful liquid. For a healthy quick lunch, try throwing them on the BBQ for a smoky aroma, and then adding them to your sandwiches and salads. In contrast, the legs often get a bad reputation for bulking up your legs, but that may be a somewhat overstated concern. Yes, there are about 30- 50 additional calories and around 3-5 additional grams of fat in a 3 oz serving of skinless chicken leg meat compared to the breast. But in the grand scheme of dinner, that’s probably not a big deal, especially since the caloric trade off is a more intense chicken flavour. Well, like its white meat cousin, legs are extremely adaptable and versatile, but because of their higher fat and collagen content, they can withstand longer cooking methods before drying out. A great go-to preparation for legs is to pan-fry until the skin gets crispy, and then simmer in white wine and chicken broth until the meat is tender. 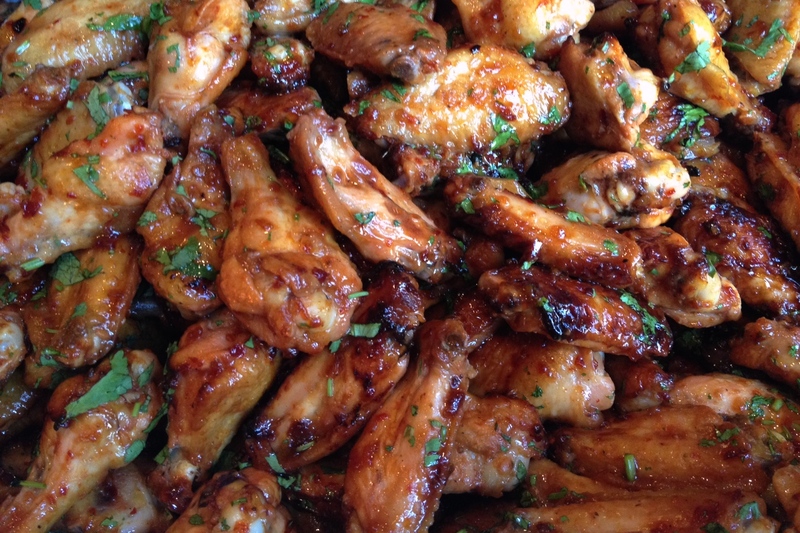 While it may be the least lean part of the chicken, the wings are a bit like portion-controlled treats. You only get four pieces per bird (two “flats” and two “drums”) so even if you were to eat them all yourself, there’s hardly a reason for guilt. 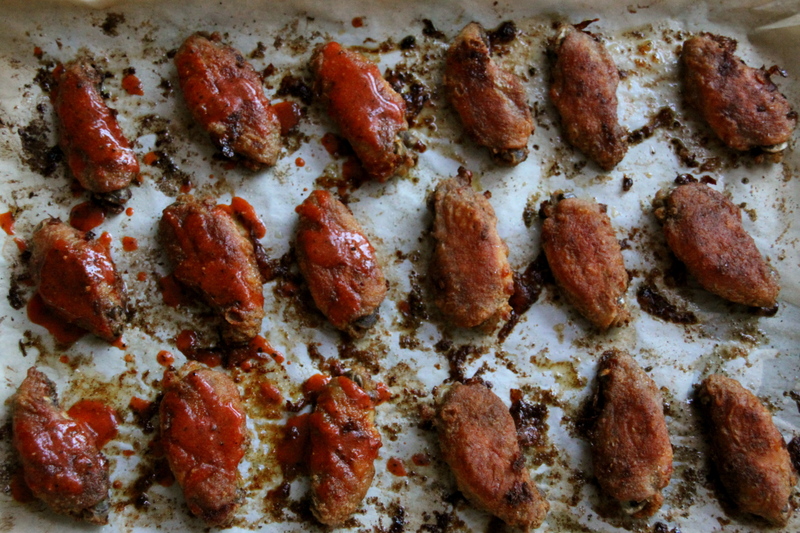 Unlike the versatility of the other bits, there are only a few choices you have to make when it comes to cooking wings. Baked, fried or grilled? Battered, naked or sauced? And of course, how much heat can you handle? Here’s where the value of buying that whole chicken really kicks in, because once you’ve starting making homemade stock, you’ll never spend money on the boxed variety again. Start by throwing all the bits of the bird you don’t plan to eat into a pot, and adding celery, onions, carrots and about 1 ½ tsp of salt. Cover the works with about 6 cups of cold water, bring it to a boil, and then reduce heat, cover and simmer for about 4 hours. Strain the stock, discard all the bits, skim off the fat from the surface, and voila! Flu, stress, heart ache- no matter what is ailing you, a bowl of this will fix it! So whenever you’re in the grocery store, starring into the poultry fridge and wondering, “what’s for dinner?” just remember all of the delicious and healthy possibilities of choosing organic chicken. Braised thighs and drumsticks tonight, chicken breast salad for lunch, wings for a bedtime snack, and soup stock for weeks! And whether you divvy up the parts yourself, or leave it to the pros, when Yorkshire Valley Farms is on the menu, you know the meal will be great.